It has been a while since I have had time to get a report out on the web site. 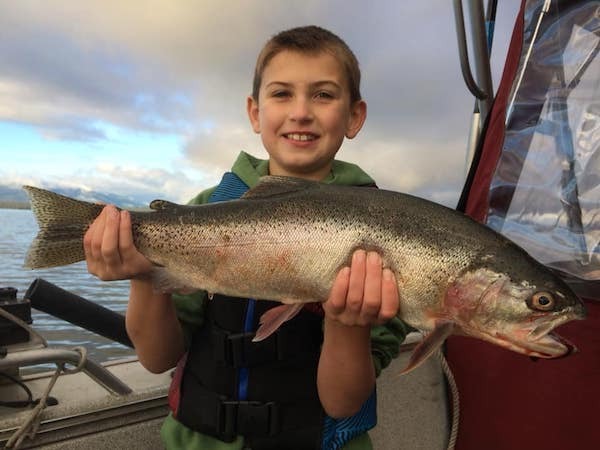 Lately the schedule has been crazy with trips going out every day and splitting time between Almanor and Eagle Lake, so let me bring you up to speed. 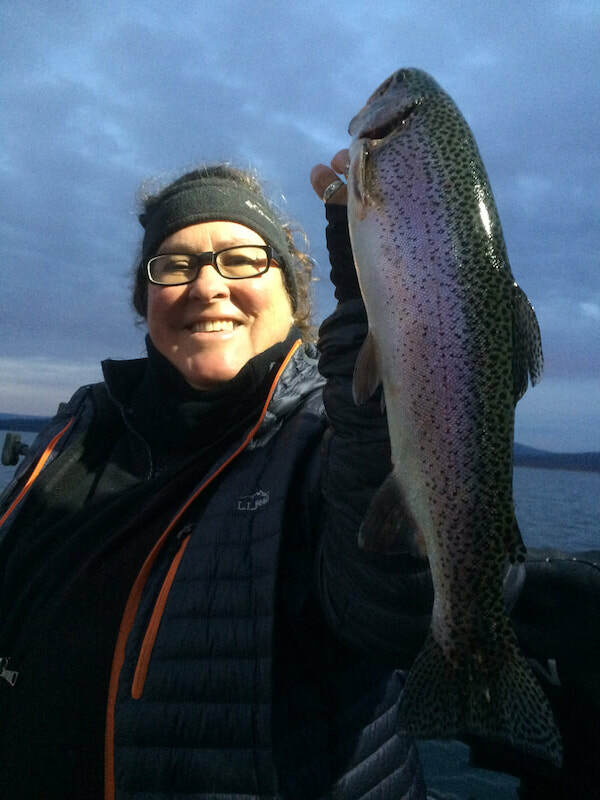 The fall bite is just continuing to go off here at Lake Almanor with good numbers on a mixed grade of fish, everything from mild to wild! We have been seeing fish from 2 to over 5 pounds with and occasional slob going up to and over the double digit mark. Water temps are cool running in the mid 40's which mean the fish are shallow looking for food all over the lake. The east side, west side and the north end are all kicking out fish right now. The tactics and baits are also all over the place fish are being caught on slow pulled software as well as fast trolled hardware but most are being caught in the top 10 feet of the water column. 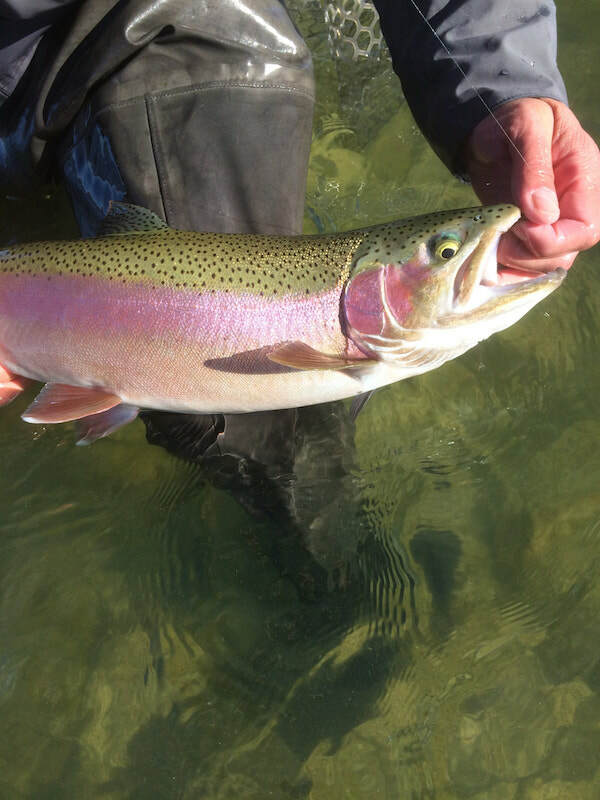 What blast, big hookups, fish blasting out of the water and back in only to make a screaming run. 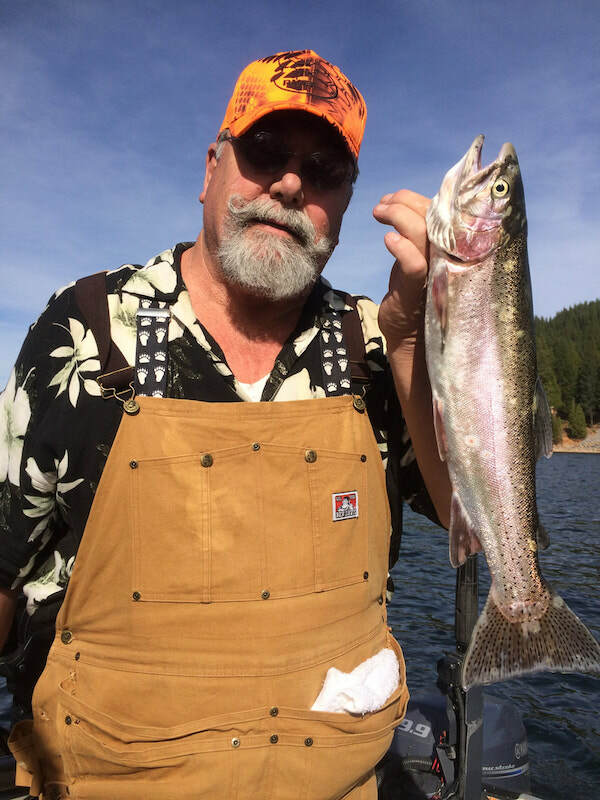 Light tackle trophy trout action!